Little Bay South located at the south end of little bay in downtown Rockport. This site has great parking and good access to the south end of little bay. For a casual paddle and bird watching it is one of Rockport’s more convenient sites. It is however limited to the south end of the bay as the center of the bay is used by skiers. Little Bay North located at the north end of little bay in downtown Rockport. 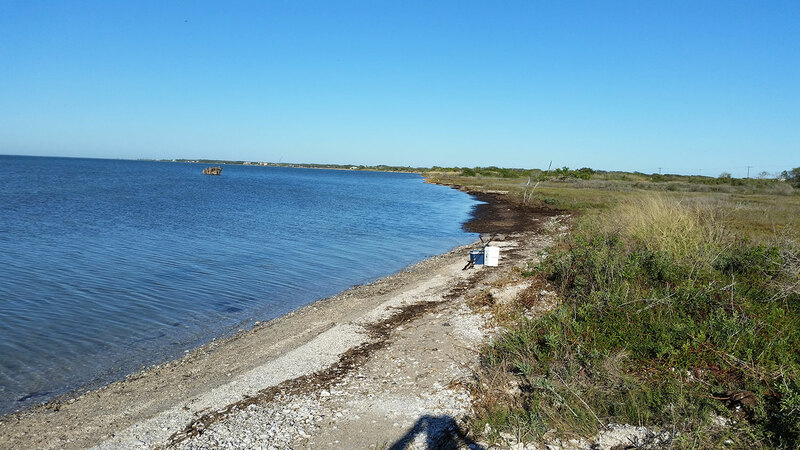 This site has great parking and good access to the canals of Key Allegro for night fishing and access to deeper water in Aransas Bay. This is a fair weather site as the winds can get quite high here. This area is a good birding area also. 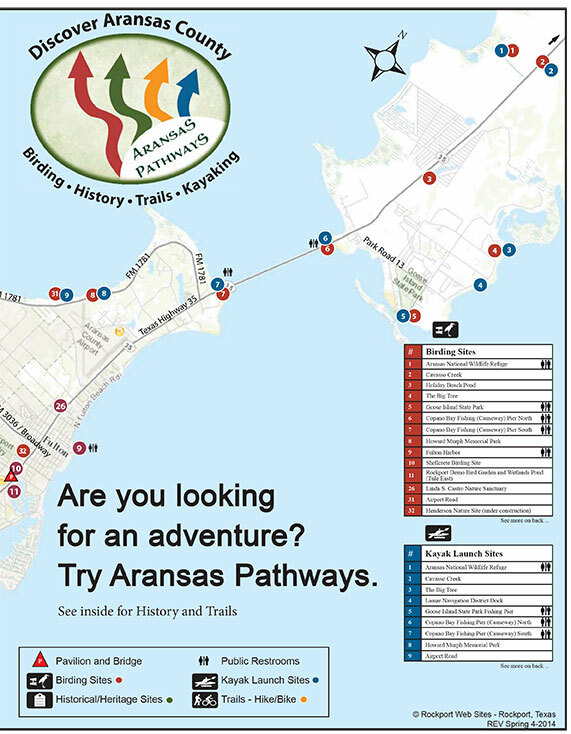 Located Northwest of the Aransas County FM Road 1781, this site has adequate parking and facilities for picnicking fishing and birding. Just off shore here is a shell reef that attracts birds and fish. This site is protected from strong prevailing Southeast winds and is best in this wind direction. Copano Bay Fishing Pier South AKA North LBJ CAUSEWAY South Located at the South West end of the LBJ Causeway over Copano Bay, this site has been improved by the Aransas County Navigation District and just needs a sign to identify it. 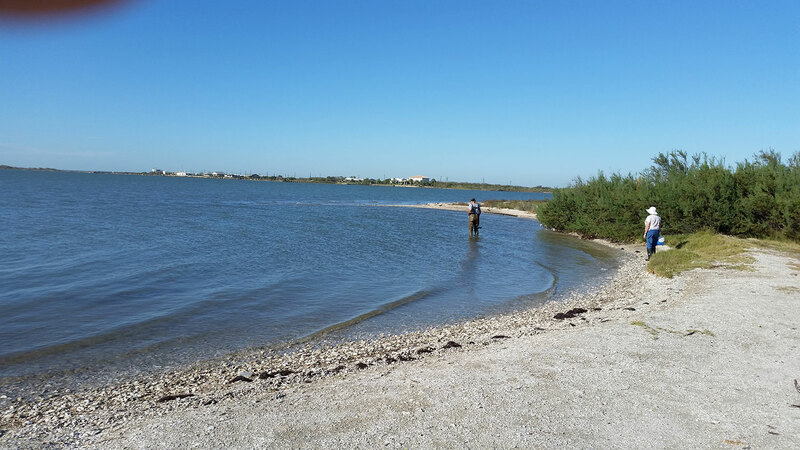 This site provides access to the South shoreline of Copano bay and a pond in the South West corner that is a popular bird habitat. 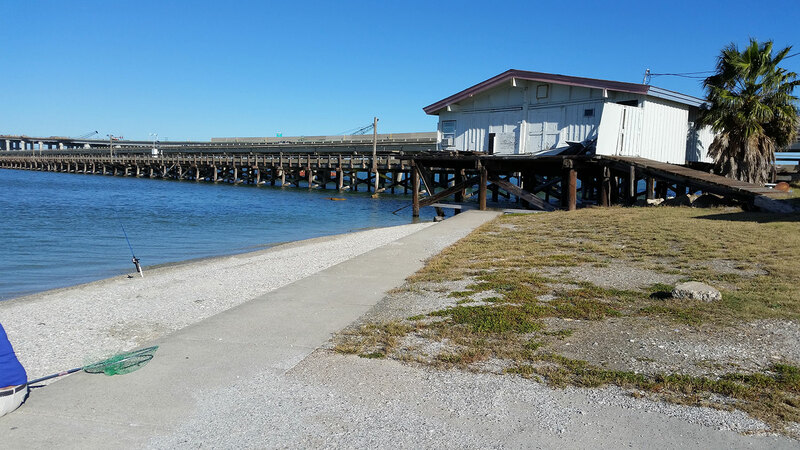 Copano Bay Fishing Pier North AKA North LBJ CAUSEWAY NORTH Located at the North West end of the LBJ Causeway over Copano Bay, this site has a limited shell parking space and access to the North shoreline of Copano bay. This area is one of the few launches protected from a North wind and has access to a few birding sites along the shoreline.